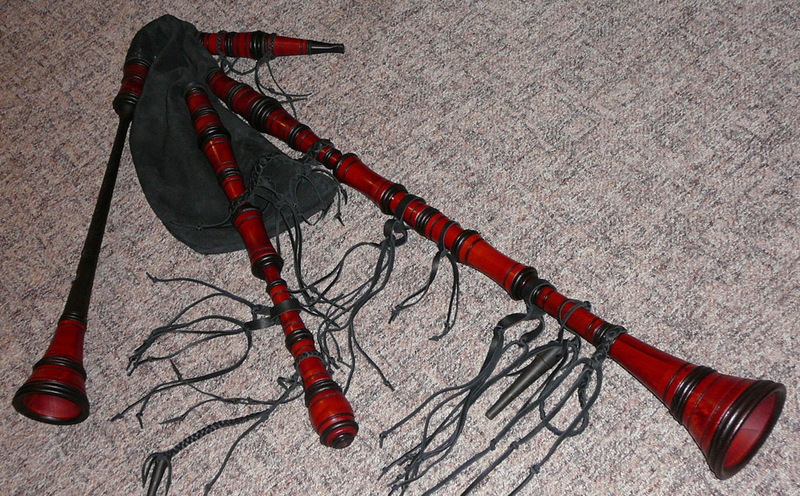 Bagpipe in this key are a little bit lower than the big A bagpipe. 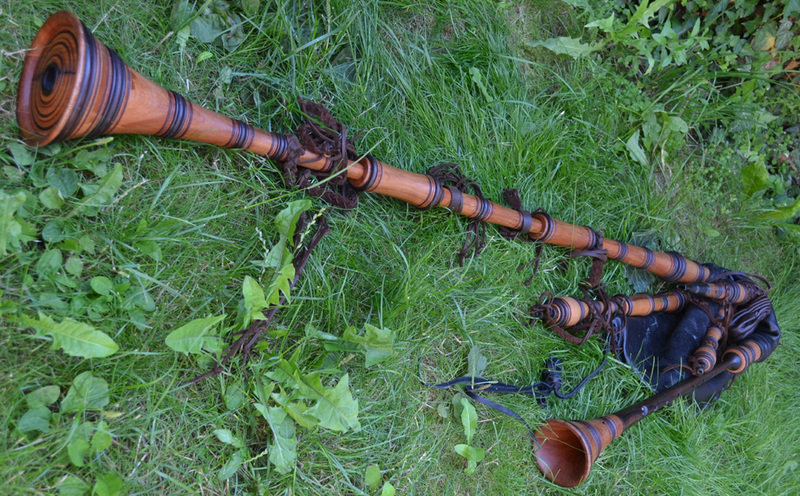 Despite of it, their tone is majestic, non-aggressive but strong, which absolutely enhances the atmosphere, whether used in ensemble or in solo play. 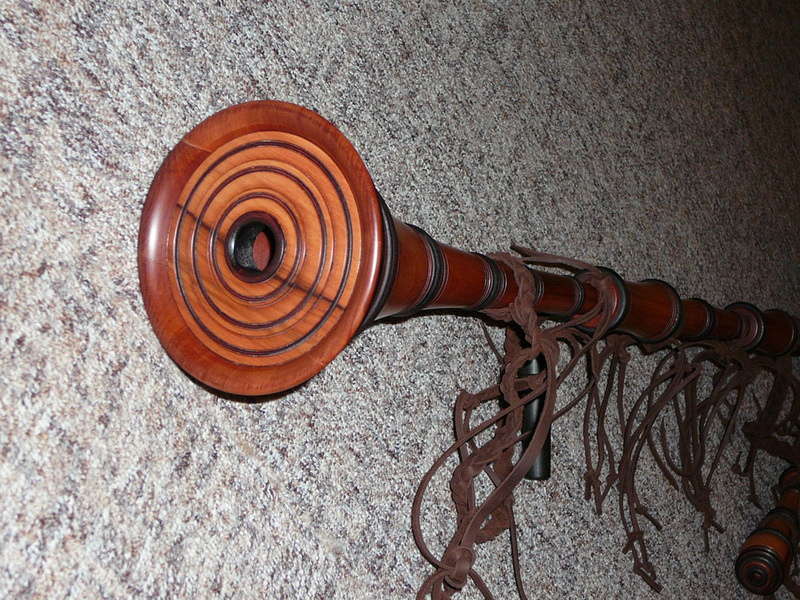 Basic model Bag from cow hide, pear wood, chanter pipe is made from ebony or cocobolo. 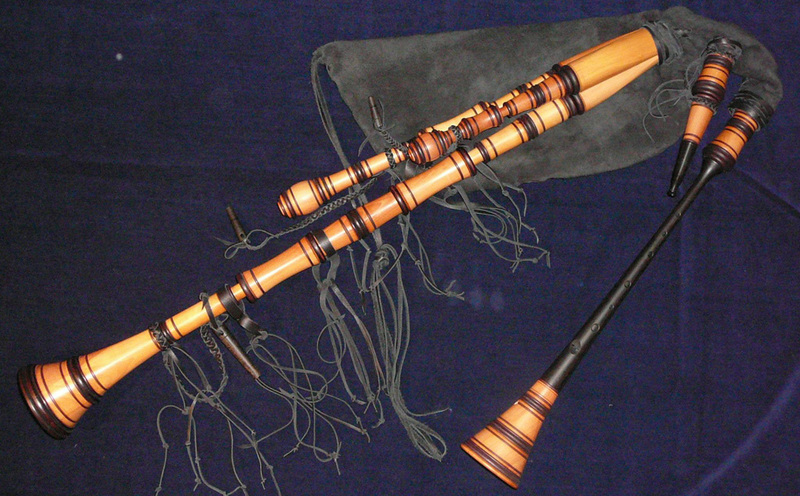 Chanter without Keys, chromatic (except for Es), two cane reeds. Plastic reed is applied in bass drone. Without colouring modifications. Additional charge according to the difficulty of manufacturing. Two colours, ev. fluent transitions made by aerograph – starts at 65 Euro.